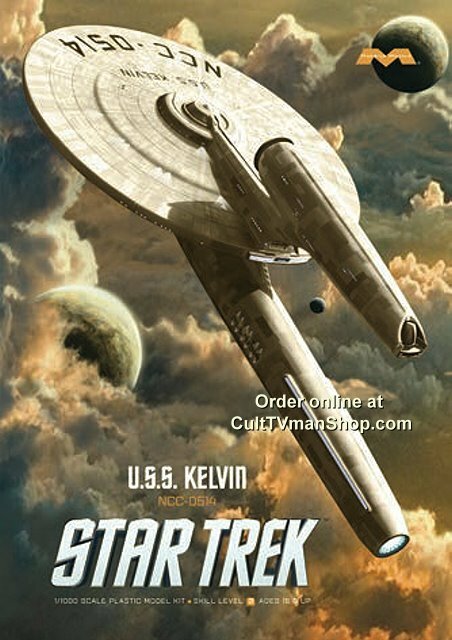 The USS Kelvin as feature in the 2009 movie Star Trek from Moebius Models. 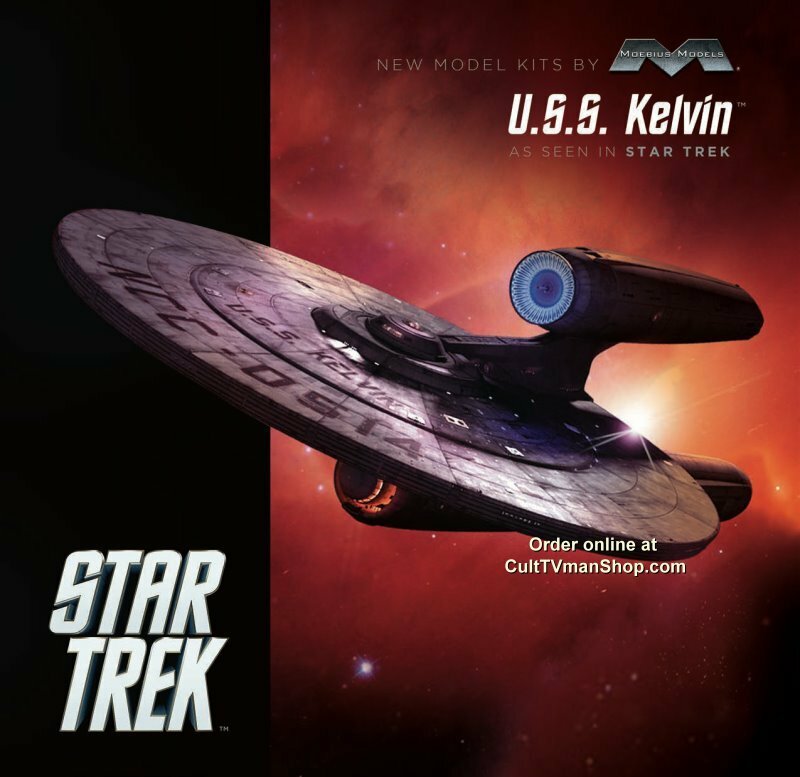 This is a 1:1000 scale kit of the USS Kelvin. This kit will be about 11 inches long. Includes Starfleet display stand. Box art by John Eaves.